“One of the most beautiful love story in the world took place in small Portuguese town – Coimbra, starring the XIVth-century Portuguese Prince Pedro and a Spanish girl, Inês de Castro. Here they lived their forbidden love affair. Legend says that it was here that Inês cried for the last time while being pierced by the daggers of the killers sent by King Afonso, Pedro’s father. 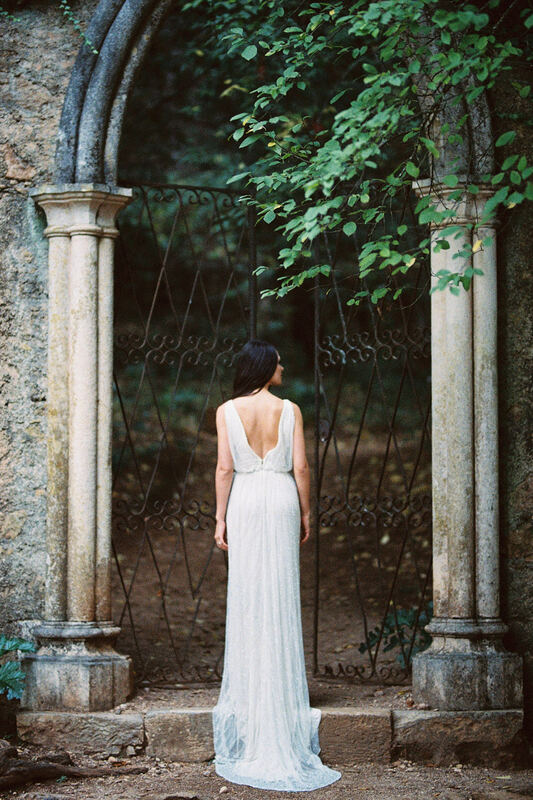 Her blood still colors the stone-bed of the fountain that was born of her tears – the tears that gave the name to the romantic estate where this wedding inspiration shoot took place: Quinta das Lágrimas. When Dom Pedro became King he crowned Inês as Queen of Portugal, post-mortem, and made everyone on court to kiss her dying corpse. Afterwards, he revenged her by slaying the two soldiers that murdered her by ripping their hearts out as they had done his. We found our design inspiration in the venue itself, with the story of love of the Prince who owned this place. The most important for us was to highlight the venue and all its beauty. 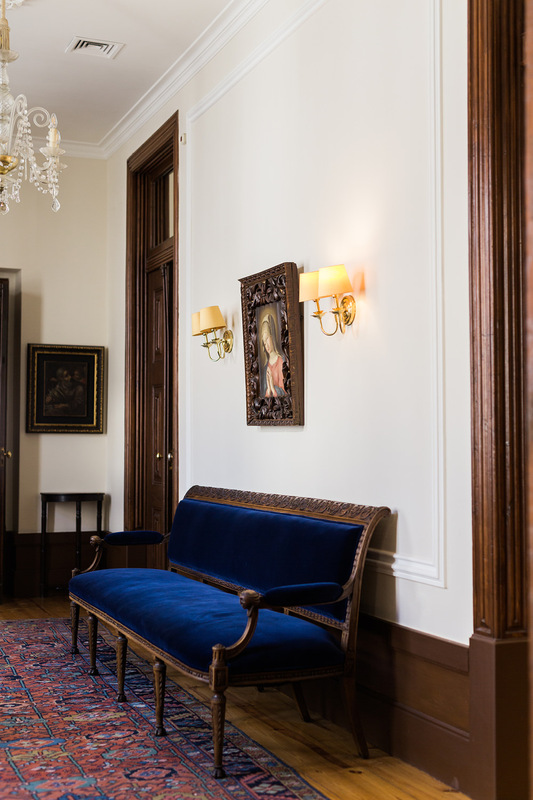 This old historic place has its own history and reveals that history through its decoration and details. 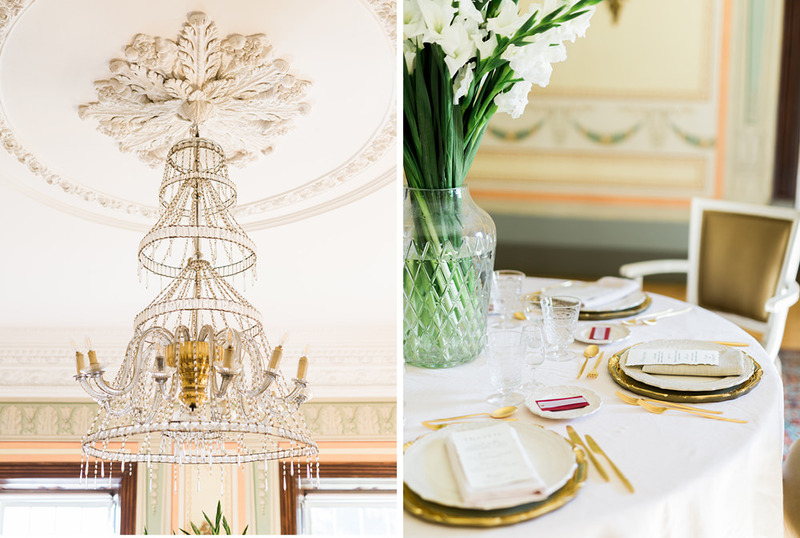 We wanted to mix this historic side with some modern details, to not charge the venue style much but still give this editorial some modern freshness. 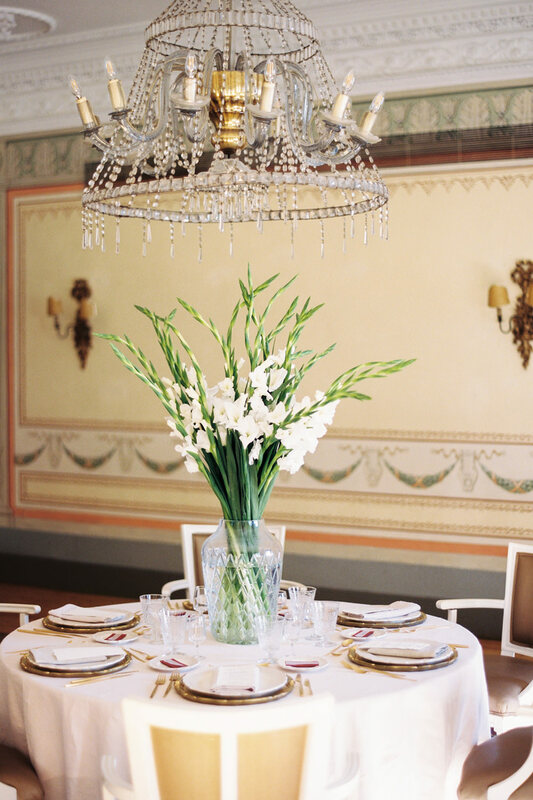 We decided to use very simple flowers that could reflect a modern style, to ease the antiquated atmosphere. We chose to use tulips and delphiniums. They are not the most used wedding flowers but we love them because of their style and sweetness. We used the same there of clean and simple modernity with our wedding cake. For the juxtaposition of old and new we paired vintage golden tableware with a beige cotton tablecloth and used modern calligraphy throughout our paper goods.